October 2011 – CREATE. PLAY. TRANSFORM. 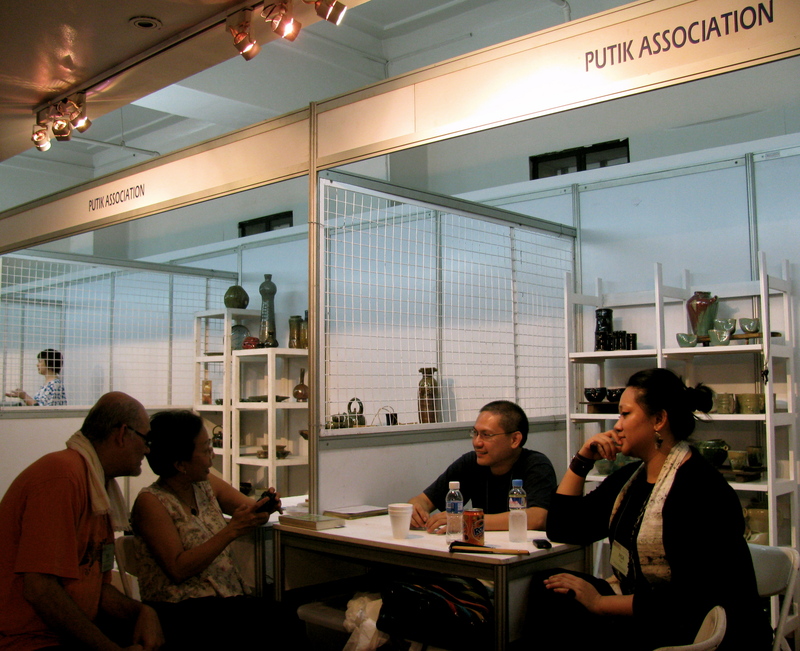 Over a week ago, I was asked by fellow Philippine potters, to join an arts and crafts fair in Manila. 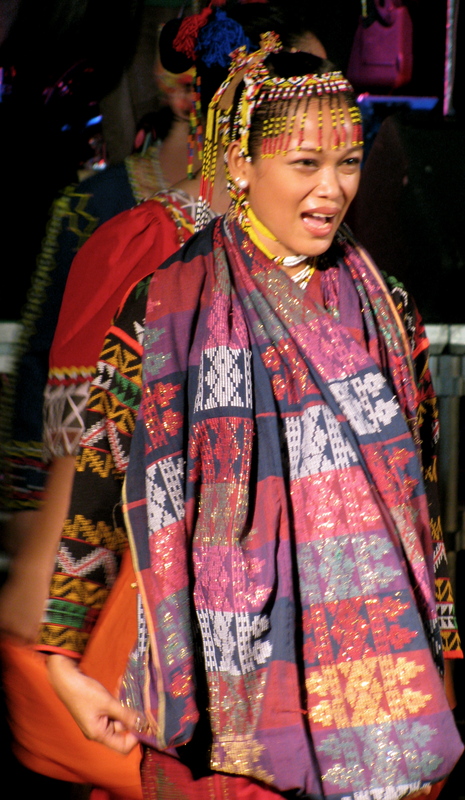 Last year, four of us from the Putik group, joined “MaARTe” at The National Museum. This year, I was the only potter at the fair. It was great meeting a lot of new people. Thanks to Mara Pardo De Tavera, for saving a table for handmade ceramics. Thanks to Cedie Lopez-Vargas, for introducing me to her friends, and appreciating how I set up my corner. Your kind words encourage me to keep making more pottery. People ask how I sell my handmade stoneware pots and jewelry. I don’t have my own store or gallery yet. But I join arts and crafts fairs and other well-organized bazaars in the city. 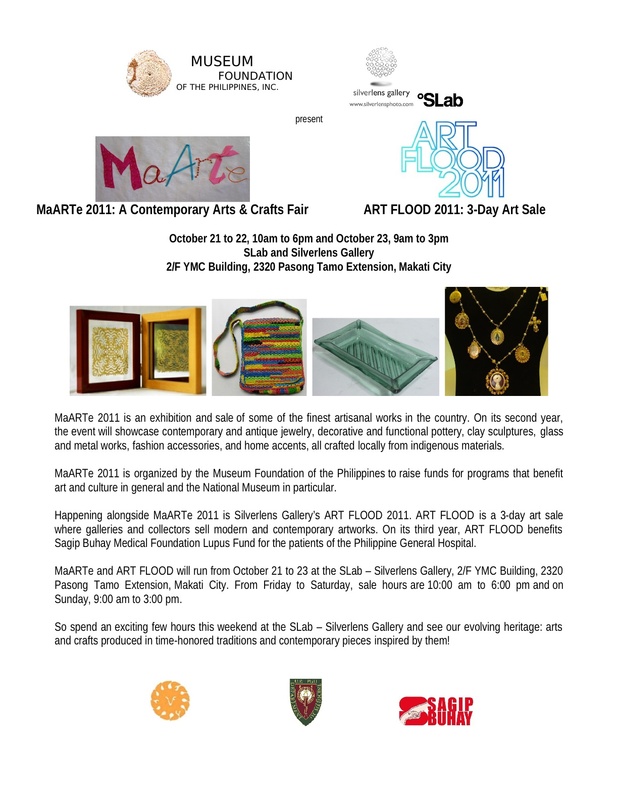 One of which is Whitespace in Pasong Tamo extension, which I am going to be a part of (again), very soon. I also set up appointments, for people who want to see my works before weekends. My apartment is located in Quezon City. It’s always a dream to have a one woman show in The Philippines. It will come to pass. And hopefully, it will happen in 2012. A very special time for me. It’s going to be a decade of being crazy about Ceramics and I still find myself dedicated to it. It must be love. Love at first touch. I am very thankful to my master potter, who gave me the skill, talent, and perseverance, to continue pursuing a unique kind of passion. More and more people are interested in learning pottery. 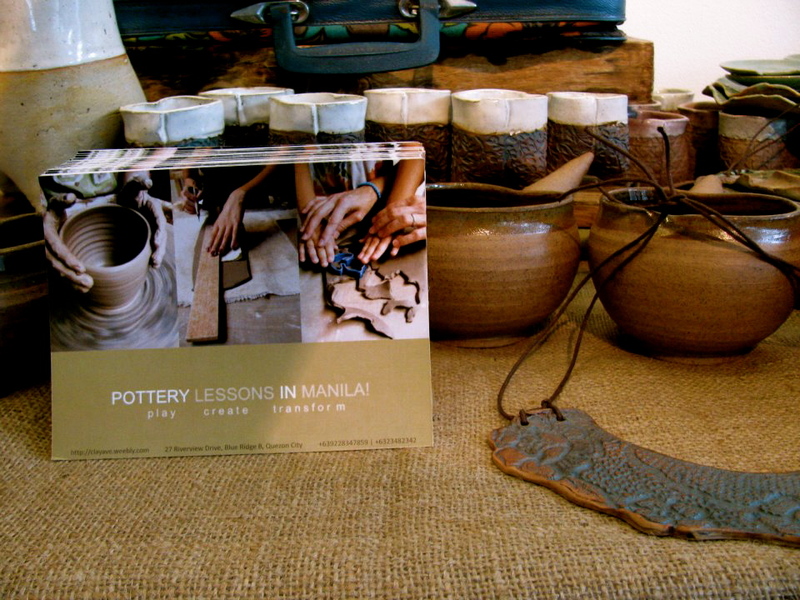 To those who find Quezon City far, you can learn pottery right in your own home! Please visit http://clayave.weebly.com to see more details about the muddy workshop. And send an e-mail to clay.ave@gmail.com to reserve a slot. Make something special for your friends and loved ones this coming Christmas by getting your hands dirty with clay! All hands were busy during the fair. Some were busy paying at the cashier, some were trying on some jewelry, and the others were busy writing on receipts. For these ladies, they make sure that they create very colorful bags from crocheting plastic! 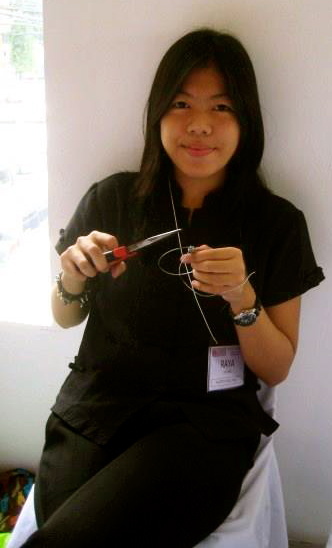 This young woman, Raya, made sure that she brought her tools and metal wire with her. I found her silently working on some interesting pieces during the fair. 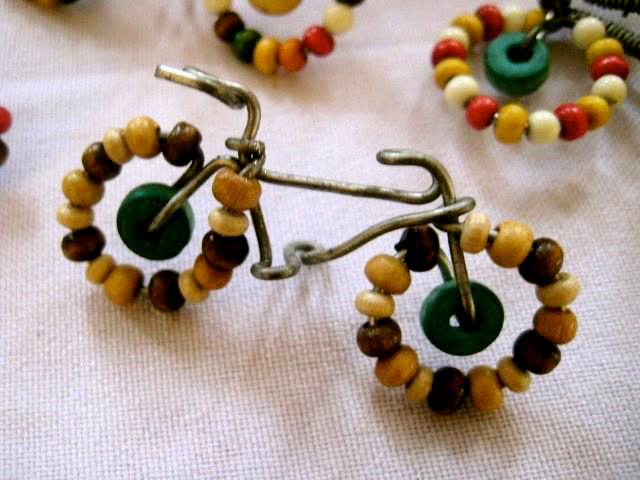 I love seeing people, creatively working on projects with found objects or other materials for arts and crafts. She didn’t only make bicycles, but also something to hold them in place. A bicycle stand! How cool is that! 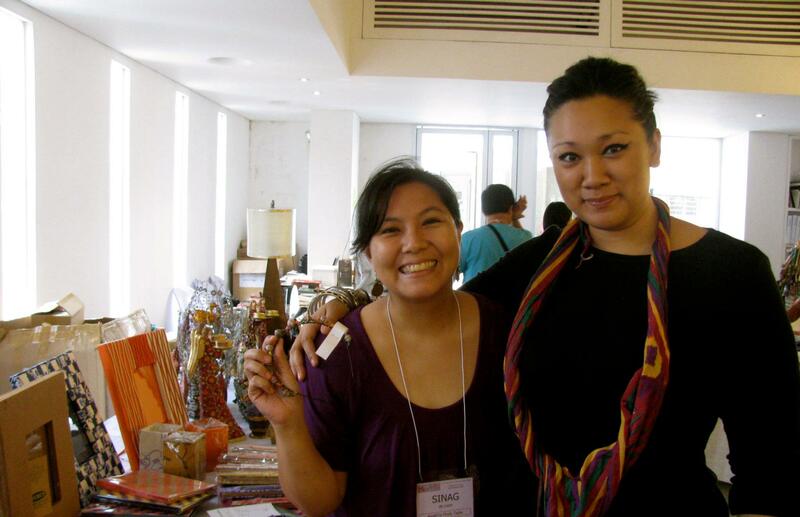 Thanks, Sinag, for being so cheerful and warm all throughout the arts and crafts fair. Nakakatuwa kayong mag-ina! When is the next arts and crafts fair? Stay tuned for upcoming dates. 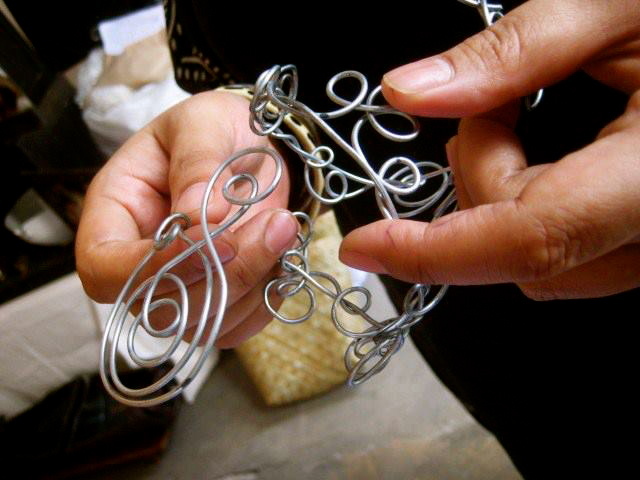 One thing is for sure, hands are continuously busy in making handmade pieces. Whether arts and crafts are made from clay, wood, metal, glass, plastic, etc. 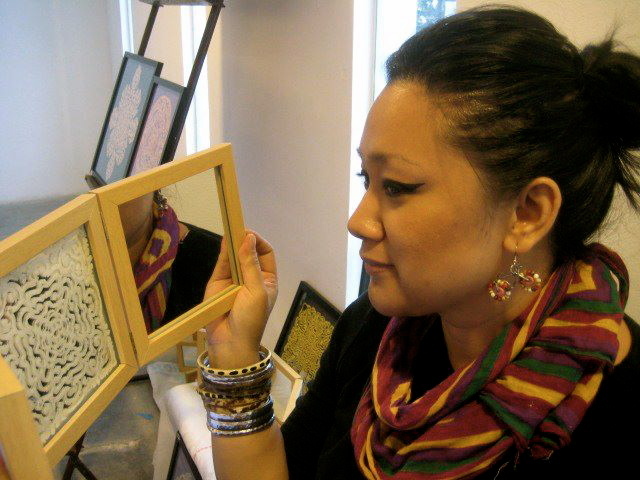 Everything is 100% handmade, 100% Filipino and 101% filled with passion and love for anything made by hand! 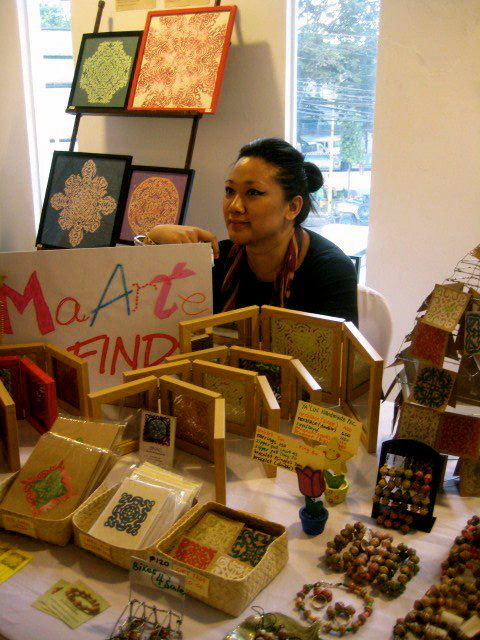 I hope to see you at the next arts and crafts fair in Manila! I enjoy going to arts and crafts fairs since I was kid. I remember my mom taking me to places where Philippine-made products are sold. 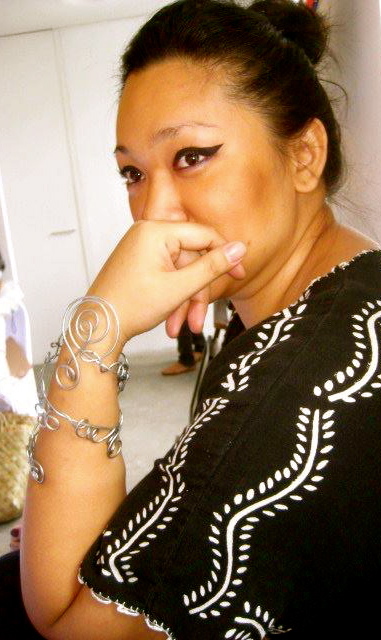 Until now, it excites me to see intricate works by my fellow Filipino craftsmen and artisans. Many thanks to Mara and The Pettyjohns, the mom and pop in Philippine pottery, who always invite me to these fairs in the city. 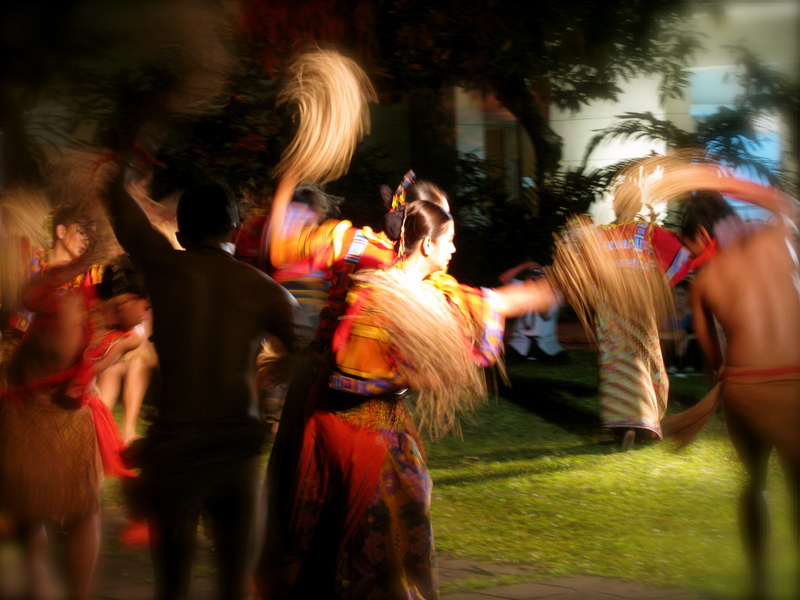 Last year’s fair was held at The National Museum. 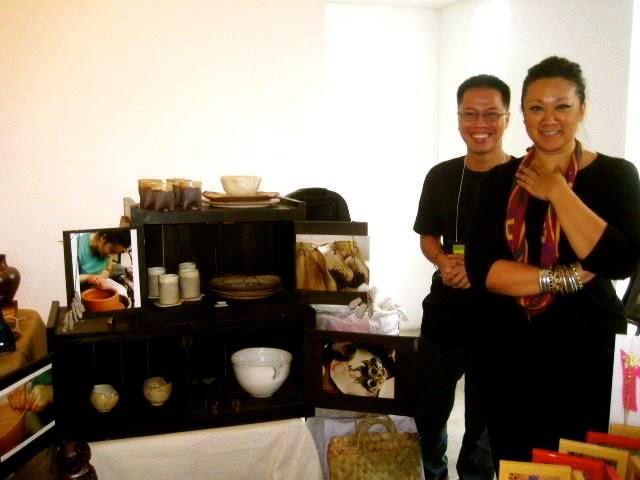 I had a great time hanging out with fellow potters and passionate craftsmen of my country. The Philippines is rich in arts and crafts. Traditional and contemporary. 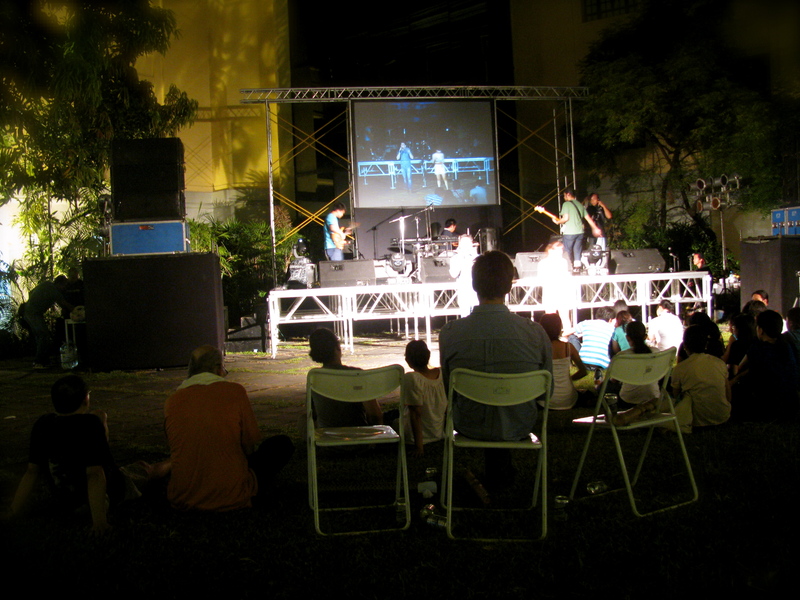 In the evening, we watched some live music with some of the top bands in the country. The courtyard of the National Museum was converted into a concert destination with the full moon above us. 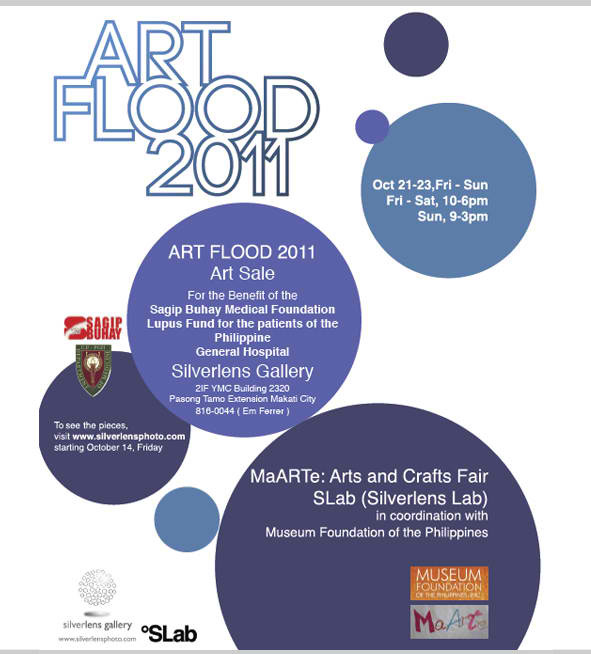 Come to Silverlens Lab this weekend! 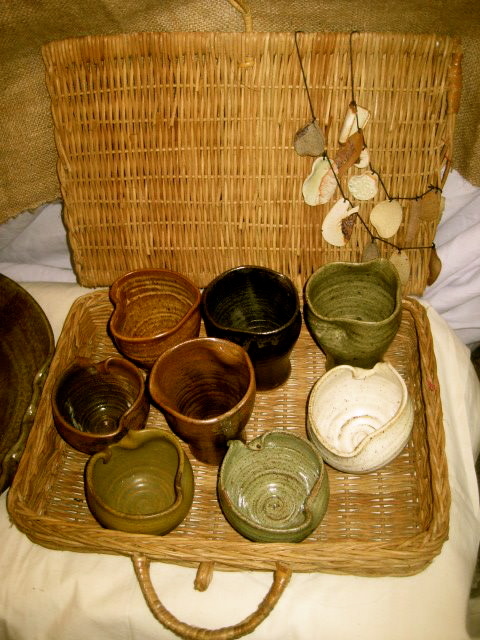 My handmade stoneware pots, old and new, will be part of the arts and crafts fair. 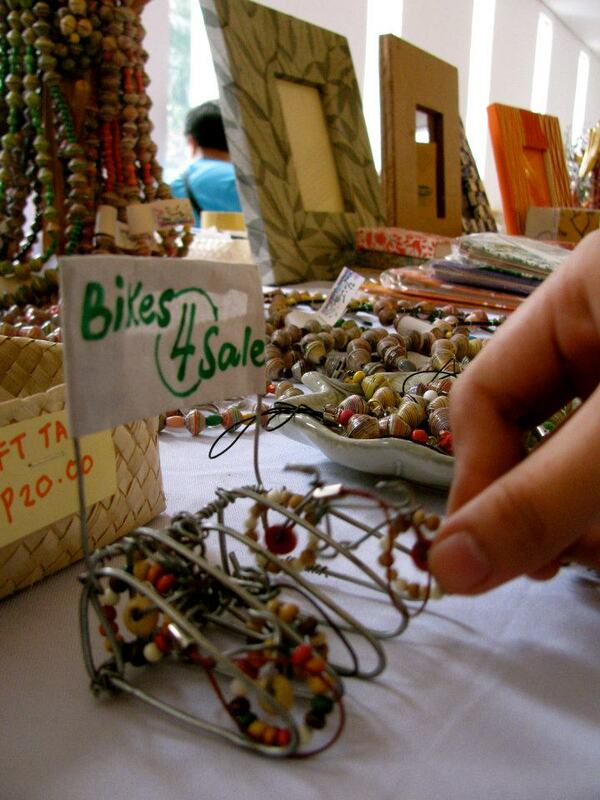 Come and see the works of the finest craftsmen and artisans all over The Philippines. Shop for jewelry, bags, textile, glass, ceramics, etc.